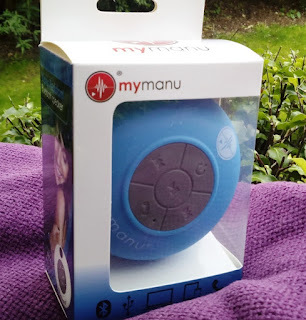 Cylindrical in shape with rubberized outer casing and suction cup on the back, MyManu waterproof Bluetooth shower speaker is a handy little gadget! 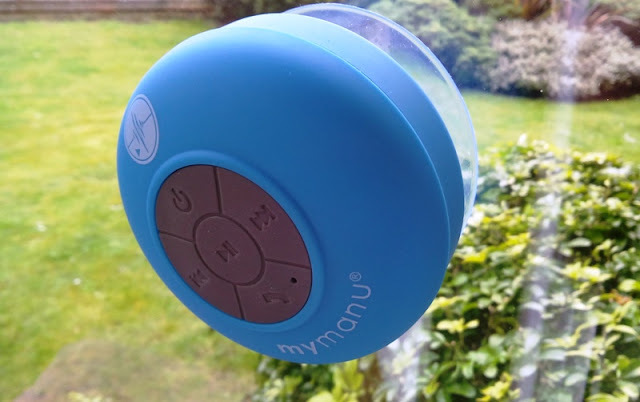 Even as small as it is, the sound quality produced by this waterproof Bluetooth shower speaker is actually quite impressive. 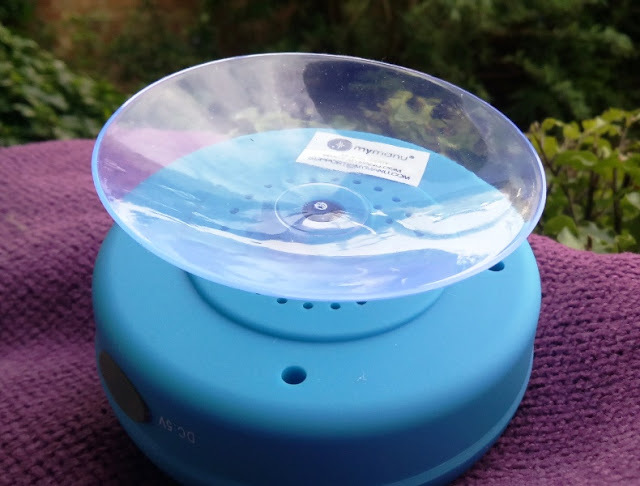 Having the sucking cup is really an added bonus as you can stick the Bluetooth speaker onto a glass, tile, fiberglass or acrylic surface; so you can use it outside while doing gardening, or stick it on your car window while working on the car, or in the kitchen while cooking! 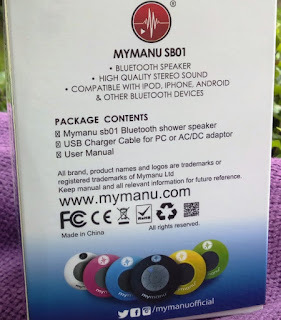 The range of connection is pretty good so, you can have your smartphone or tablet two rooms away from the speaker without losing Bluetooth connection. 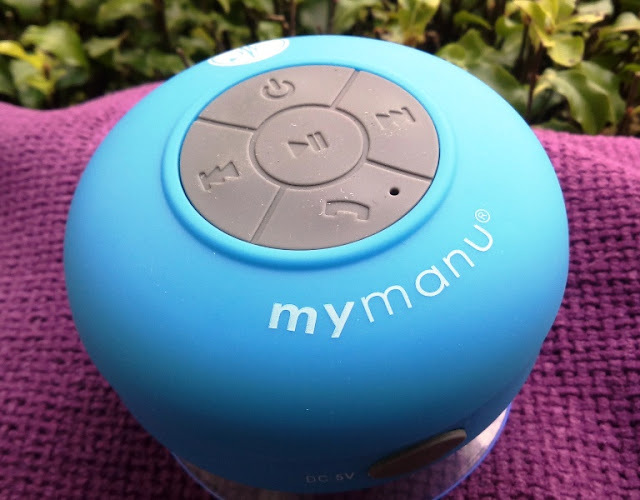 The control buttons on MyManu waterproof Bluetooth shower speaker include power button, answer call button, play/pause buttons and track-forward and track-back. 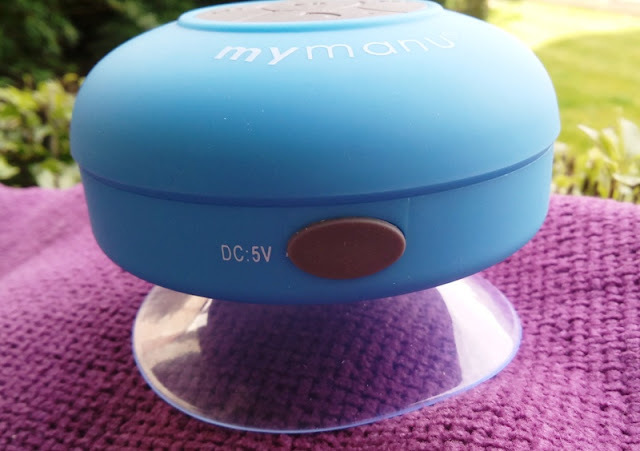 Both track buttons also serve as the volume up (track-forward) and volume down (track-back) by pressing and holding the buttons. The answer call button can also return a call on the previous number by double pressing this button. 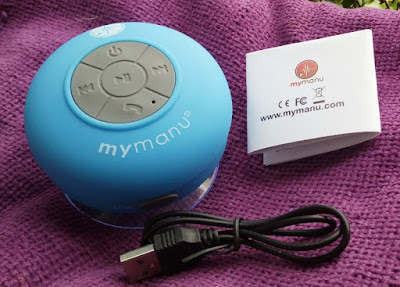 The Bluetooth speaker comes with a standard micro USB cable that you can plug into a PC or any other USB port.